Thank you for using our parking service. To ensure a smooth service, we provide information on parking availability and waiting time. Please use this information service. You can check the information on your smartphone. ＊Traffic may be regulated during the Golden Week holidays or when an event is held. ＊Thank you for using the Maruyama Park Parking Lot. Congestion is expected during the Golden Week holidays or when an event is held. Check the parking lot calendar before coming. The operating hours of the parking lot vary by season. The Second Parking Lot is closed from November 4 to April 20. *Guests using the parking lot are kindly requested to enter or exit within the above business hours. *Please note than we do not handle technical problems outside hours. 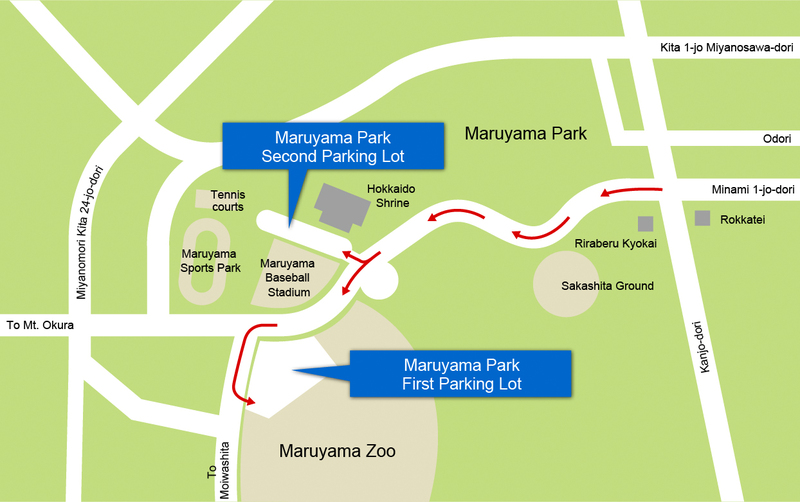 *The hours may be changed when the Night Zoo event is held at Maruyama Zoo. A parking fee is charged on one vehicle for one use. It is not a time rate. Please note that 5,000-yen and 10,000-yen notes cannot be used. Four-wheeled light vehicles and small-sized special motor vehicles are included. Micro buses and trucks are included. Buses and large-sized special motor vehicles are included. *The payment machines at the exits of the parking lots can be used only when leaving. Please note that 5,000-yen and 10,000-yen notes cannot be used at these payment machines. People using the zoo may pay at one of the payment machines in the zoo. 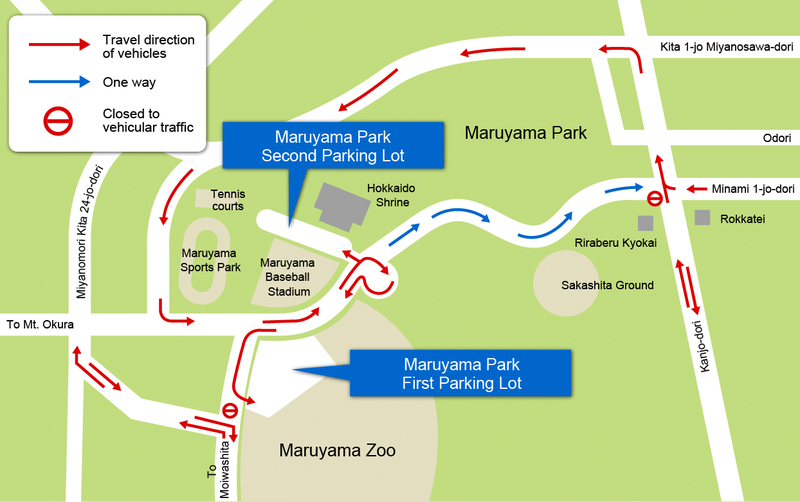 When an event is held at Maruyama Zoo, Maruyama Baseball Stadium, Maruyama Track & Field Stadium and other places, the operating hours may start one hour earlier. When an event takes place at night, the hours may be extended to 9:30 p.m. If you have a medium-sized, large-sized or two-wheeled vehicle, please use the First Parking Lot.